Discounted Entrance Fee - If you are a frequent visitor to the RVP you may wish to consider purchasing a Multi Entry Pass which could bring your Parking Charges down to just £2 per visit. Download the RVP Form here for further info and pass application form. The Park is FREE for visitors who get there by foot, bicycle or on public transport. Parking Costs Car and motorbike parking charges are as follows: £5 up to 2 hours, £10 from 2 hours up to 4 hours, and £12 for all stays over 4 hours. Coach parking is charged at a flat rate of £12. Parking is free for all conference delegates and those attending TAS Events such as Social Evenings. Parking charges are included in the price of all aircraft tours. From the M56: leave at Junction 6 and follow the A538 to Wilmslow. After approximately 500 metres take a left turn down Sunbank Lane (opposite DHL). At the Romper Pub / Church junction turn right onto Wilmslow Old Road and follow the road to the Runway Visitor Park gates. From Wilmslow: travel along the A538 in the direction of Altrincham, pass under the Airport Runway Tunnels, take the next turning on the right (opposite DHL) towards the Romper Pub. On reaching the Romper take a right turn by the Church onto the old Wilmslow Road. Follow the road (approx half a mile) to the Runway Visitor Park entrance gates. 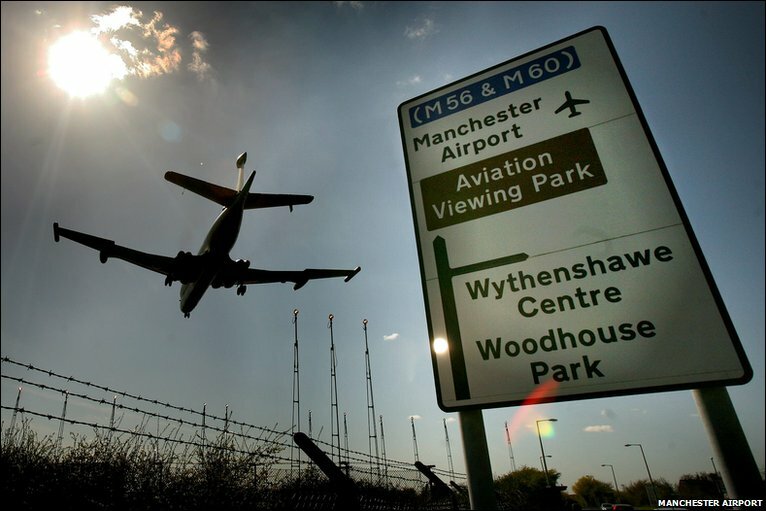 Arriving by train / Bus : Manchester Airport train station is less than 3 miles from the Park. The 200 bus currently runs to the Runway Visitor Park. For exact times please contact Traveline on 0871 200 2233.